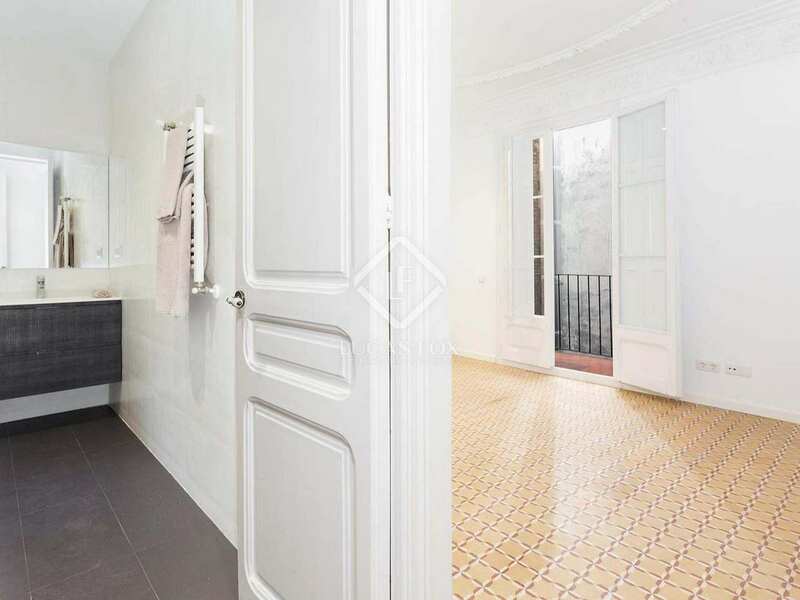 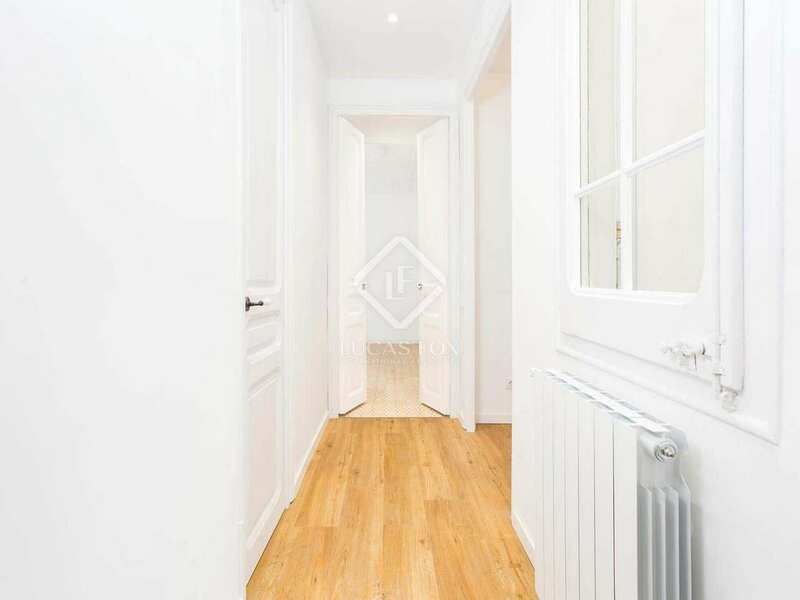 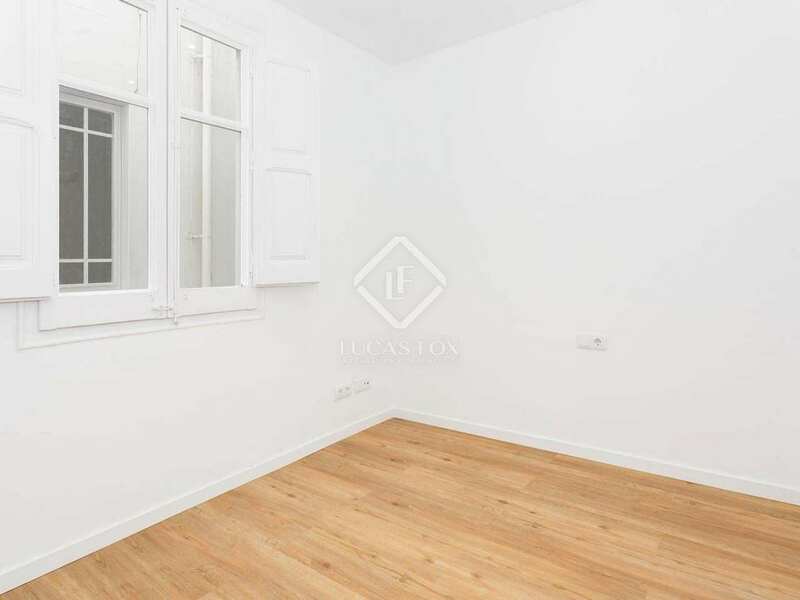 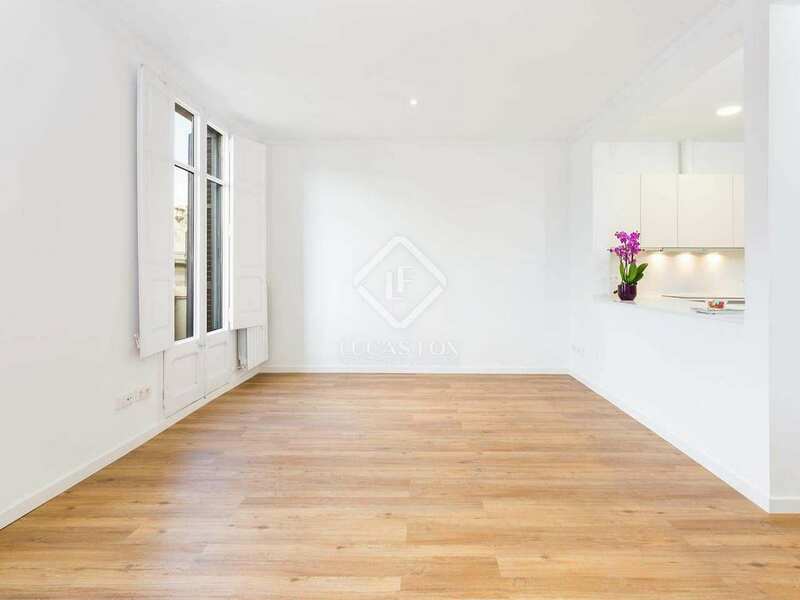 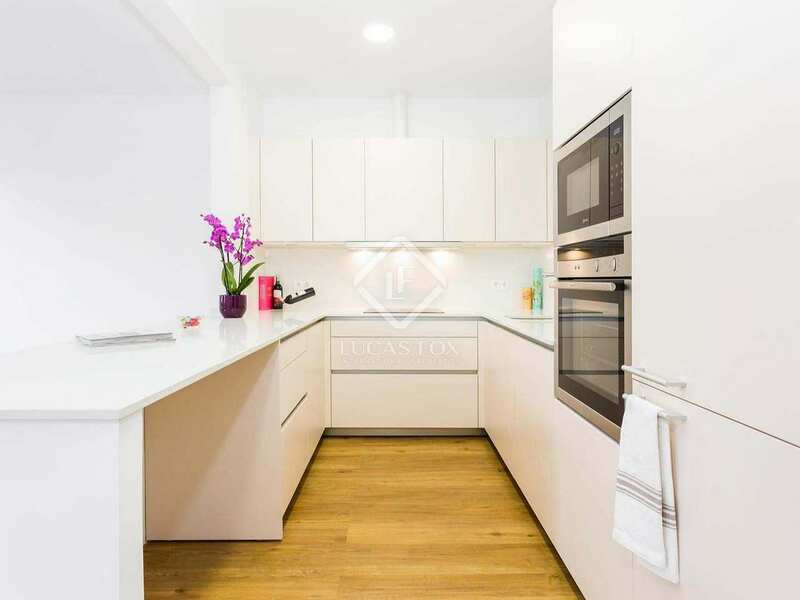 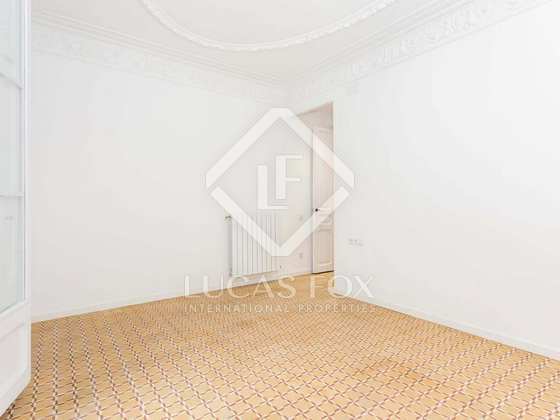 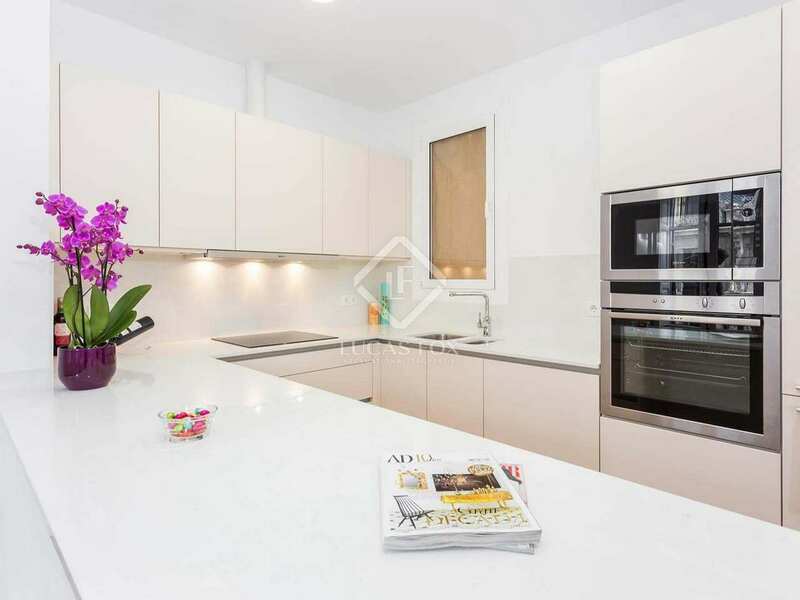 This beautiful renovated apartment is located in the area of Barcelona known as the Golden Square, more specifically on Carrer Aribau, just a step away from the prestigious streets Enric Granados and Diagonal. 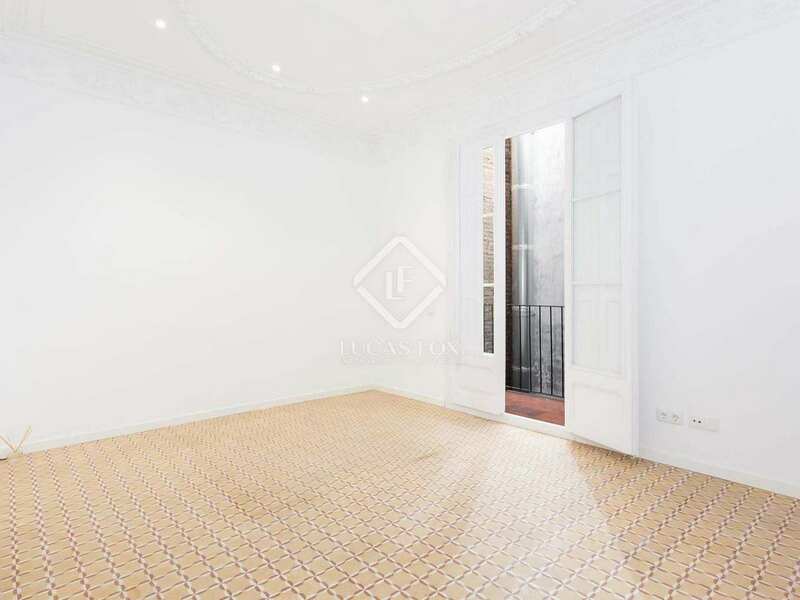 It is in a XIXth century stately building that has been completely renovated and has a new lift, but still boasts many period features that give it a special charm. 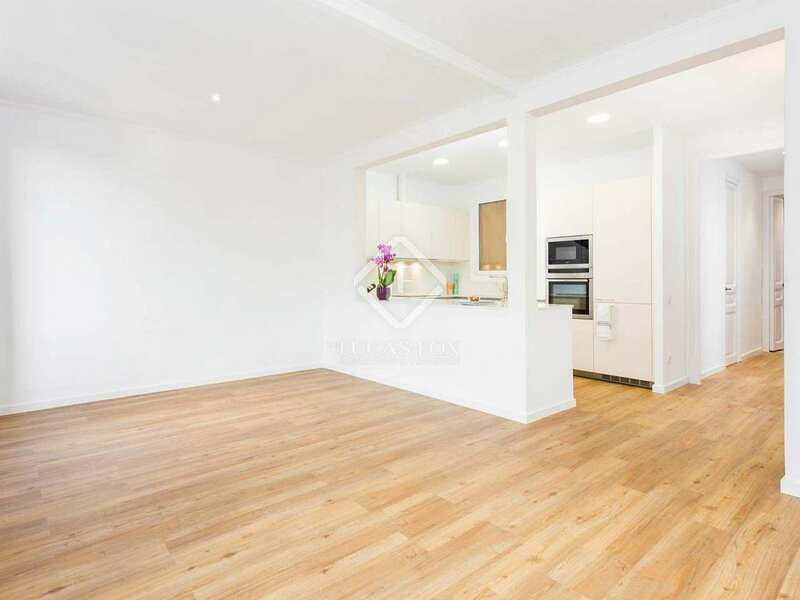 This apartment is located on a sixth floor and enjoys great light, thanks to its southern orientation and its location in a corner building. 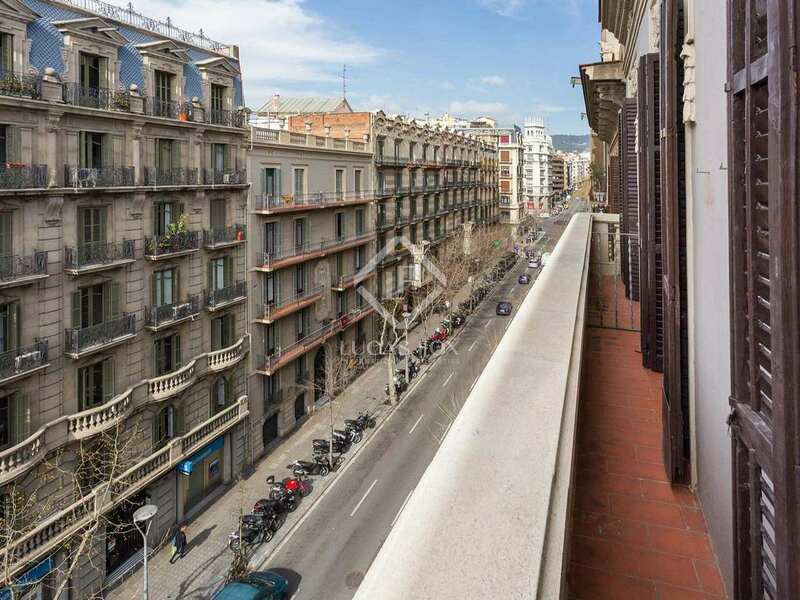 The apartment has a built size of 110 m² and is presented in excellent condition, with a clean and very good quality renovation. 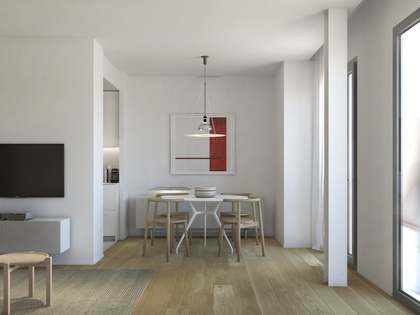 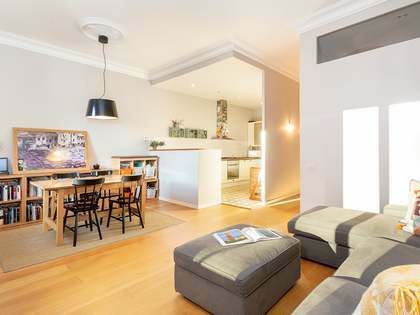 The apartment consists of an open plan living room with a large open kitchen, equipped with Neff appliances. 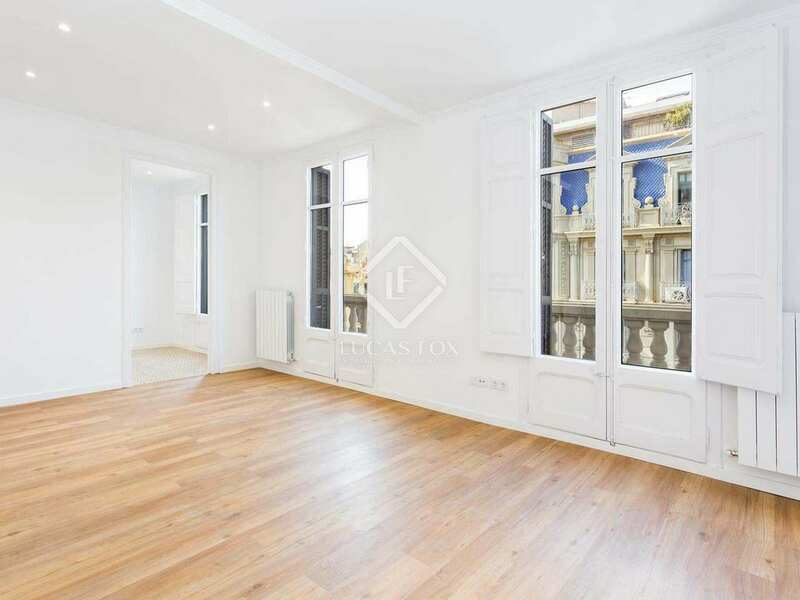 It is a very bright space, since it is exterior facing and has large windows that bring a lot of light to the room and at the same time offer access to a balcony with views of the street. 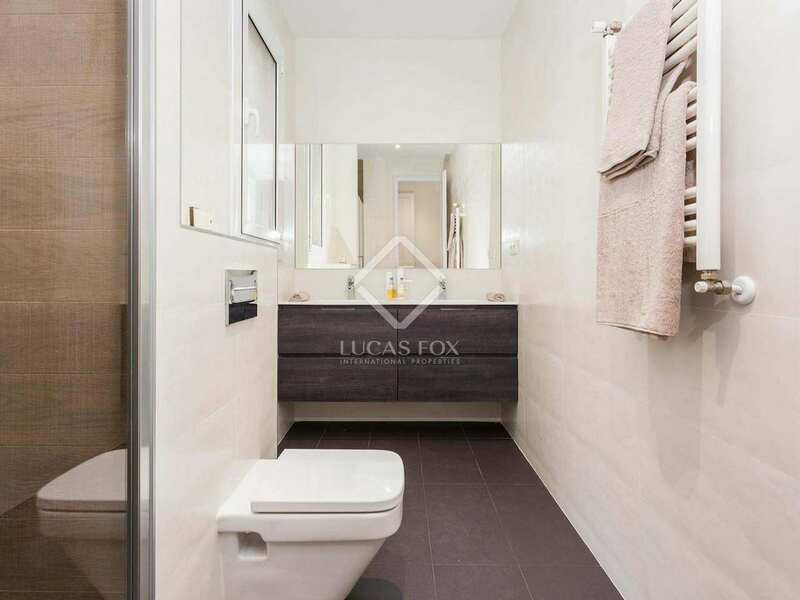 The property also offers 3 double bedrooms, including the main one, which is exterior facing and has its own bathroom. 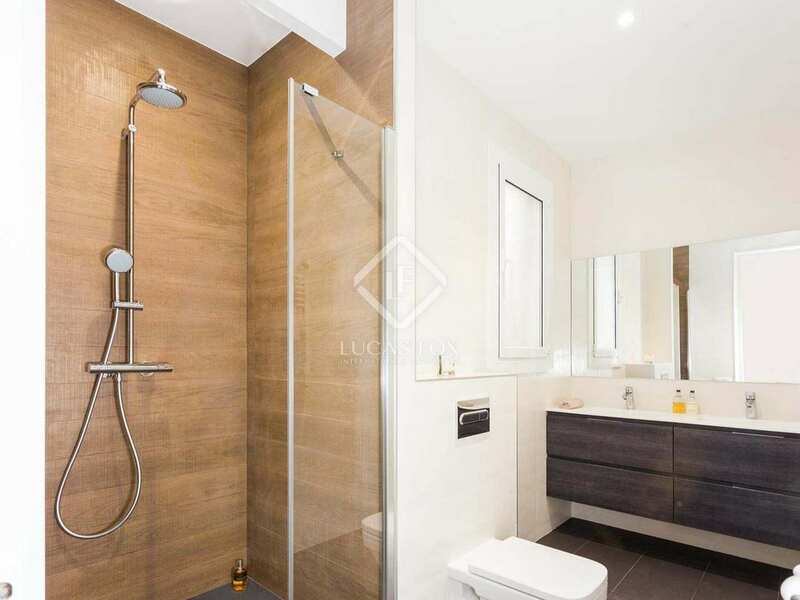 A second bathroom serves the rest of the apartment. 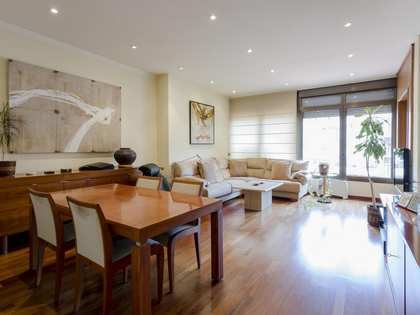 Contact us to arrange a visit to this comfortable apartment in an unbeatable location in Barcelona. 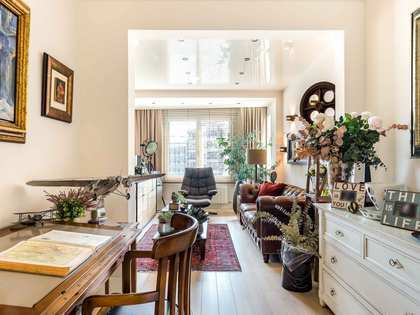 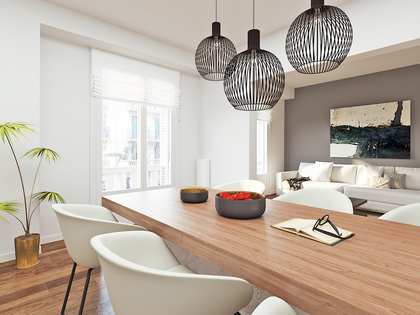 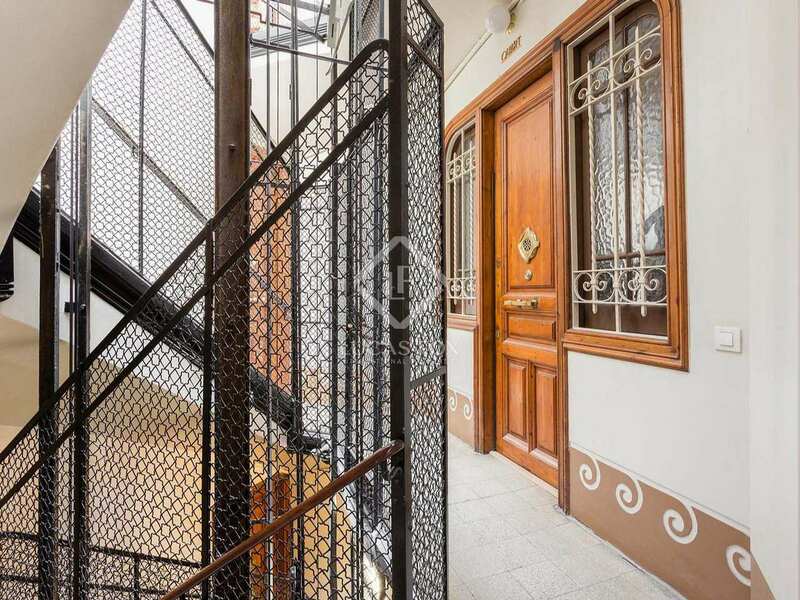 The apartment is located on Carrer Aribau on the corner of Carrer Paris, in the centre of Barcelona, ​​just a step away from two of the most prestigious streets of the city, Enric Granados and Diagonal, where there are several restaurants and the most luxurious shops. 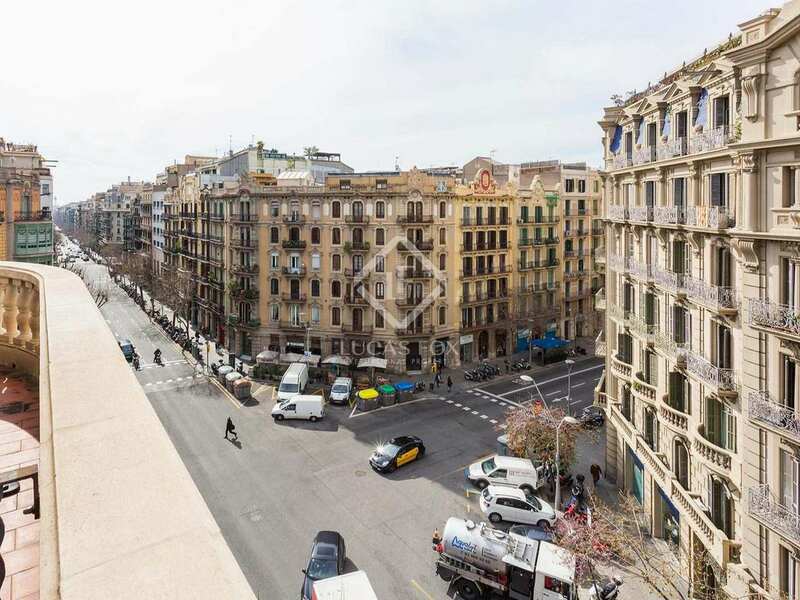 It is very well connected with the whole city by public transport.